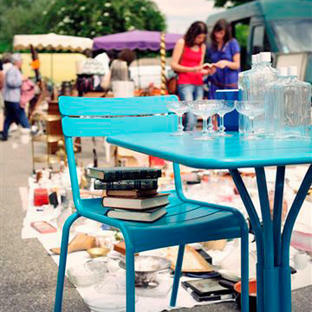 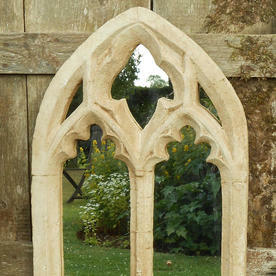 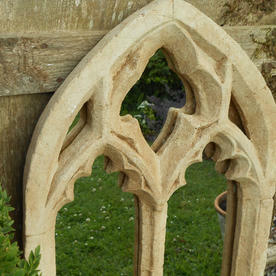 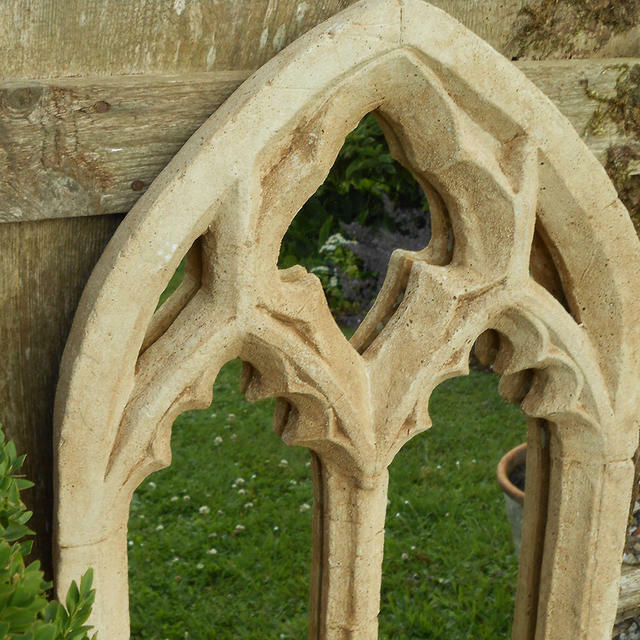 Add a little gothic drama to your outdoor space. 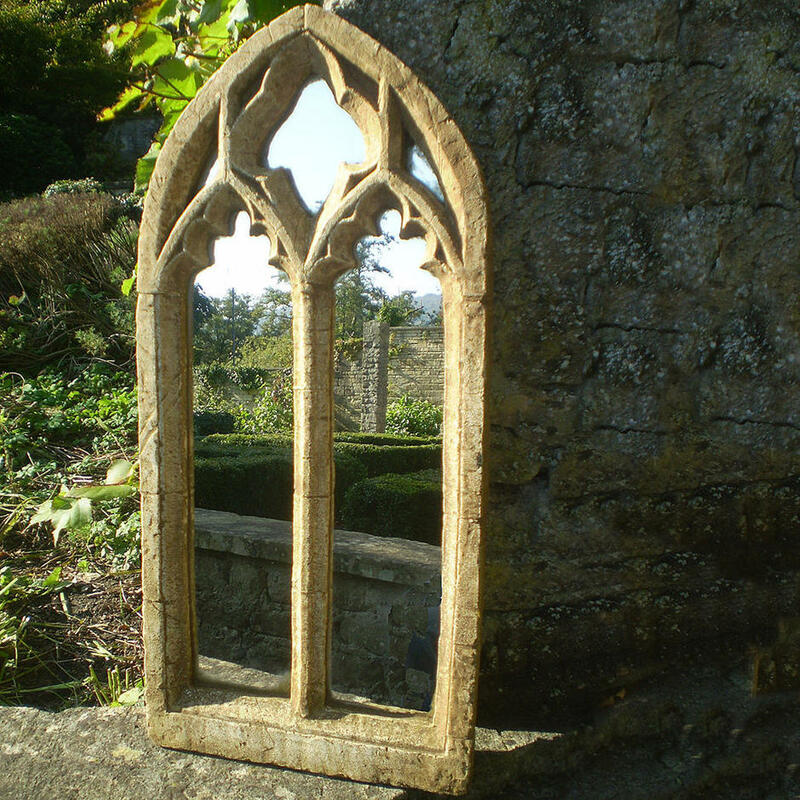 These Gothic styled outdoor mirrors are cast in a fibre cement, and are robust enough to withstand the vagaries of British weather. 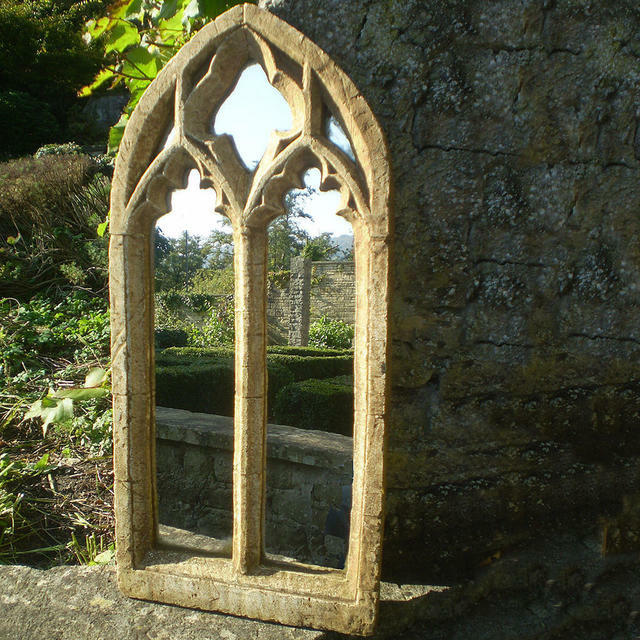 Use them to reflect light into dark areas of the garden, or create your own trompe-l'oeil with the trickeries of light and reflection. 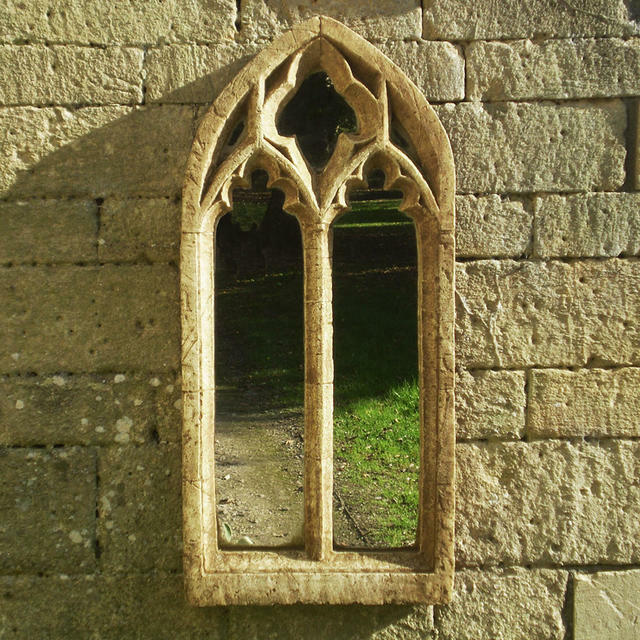 The mirrors have been pre-aged with earth pigments, which results in soft mellow tones similar to that of cotswold stone. 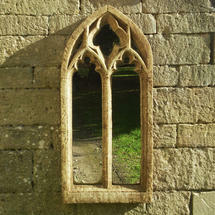 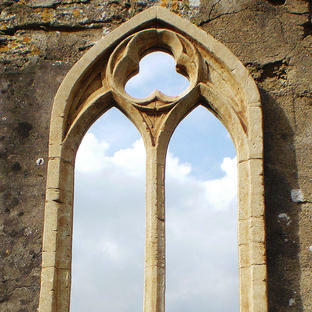 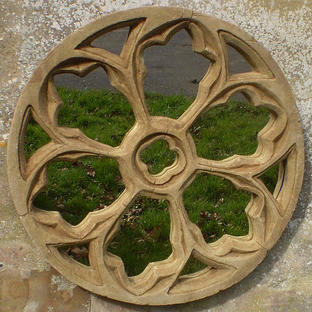 Depending on the location and the mirror's aspect, the frame's appearance will continue to weather just like any stone.